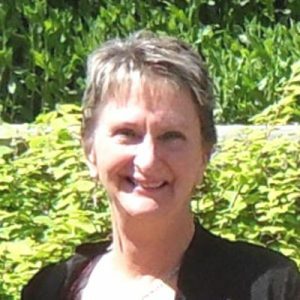 Darleen passed away peacefully on April 6th at Kelowna Hospice with family and friends by her side. Raised in B.C., she made her home in Edmonton. Darleen was a Registered Engineering Technologist/QAQC and worked in Northern Alberta’s petrochemical industry. She will be deeply missed by all who knew her. Survived by mother Natalie, siblings Sharon, Dan (Leslie), Carol (Gordon) and families. Darleen will be remembered for her independent spirit, love for travelling the world, collecting rock specimens and enjoying a good glass of wine with cherished friends. Thank you to the doctors, nursing staff and volunteers in Kelowna and at the Neuromuscular Clinic in Edmonton, who helped Darleen through her journey. In lieu of flowers, please consider a donation to the Muscular Dystrophy Society, B.C. Our condolences to Darleen’s family. She worked with us on starting in 2008 at APTECH and then at AVH Engineering. She was a fantastic friend to all of us and contributed to our small team like a family member of a family business. She will be missed and very fondly remembered. My deep and sincere condolences to Darleen’s family and friends. I had the pleasure of having Darleen in one of my classes at Okanagan College. Darleen was an exceptional student, and contributed much to our learning environment with her many experiences. She was curious, kind and a passionate learner. We shared many conversations about rocks; a passion we both shared. Darleen was very inspiring to many of her classmates and instructors. She will not be soon forgotten. Much love and light to you Darleen. I am glad I got to share a small part of your journey. I was fortunate to have Darleen as a student in Materials Engineering Technology at NAIT many years ago. She was a good student and well liked by her fellow students and instructors. My condolences to her family and friends. Darleen became part of our family in Edmonton for many years when she lived with Ernestine Goddard. We shared many treasured moments with Darleen and she will be missed. Our sincere condolences to her family and friends. Peter &Cathy Goddard and Marjorie Harris.